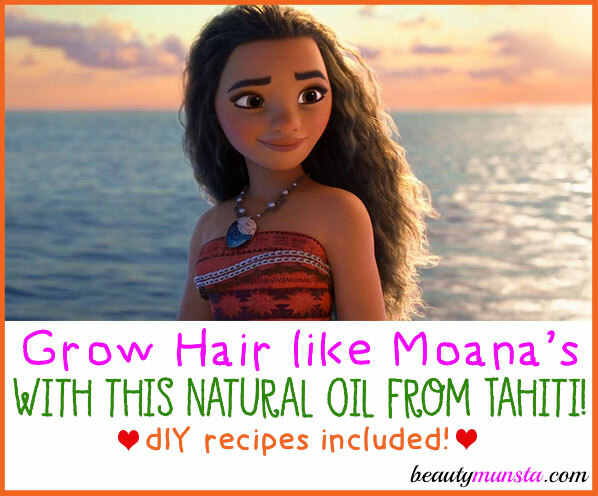 Tamanu Oil Benefits for Hair | How to Grow Moana Hair - beautymunsta - free natural beauty hacks and more! 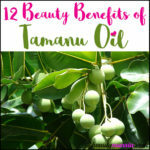 Have you heard of tamanu oil? It’s an exotic oil that you simply must get your hands on, especially if you want to flaunt beautiful hair! Tamanu oil is native to Polynesia and East Asia. Native Tahitians used it for various purposes including skin and hair care. If you’ve watched Moana, you must have noticed how gorgeous her hair is?! I know, she’s just a fictional character but Hawaiian women truly have beautiful shiny and long locks of hair. Much of it is because of their genes of course, but they also care for their hair using natural ingredients like tamanu oil! Anyone’s hair can grow if treated with lots of care and love. And what better way to show your hair some TLC than using natural oils?! Tamanu oil was discovered by the Native Tahitians. 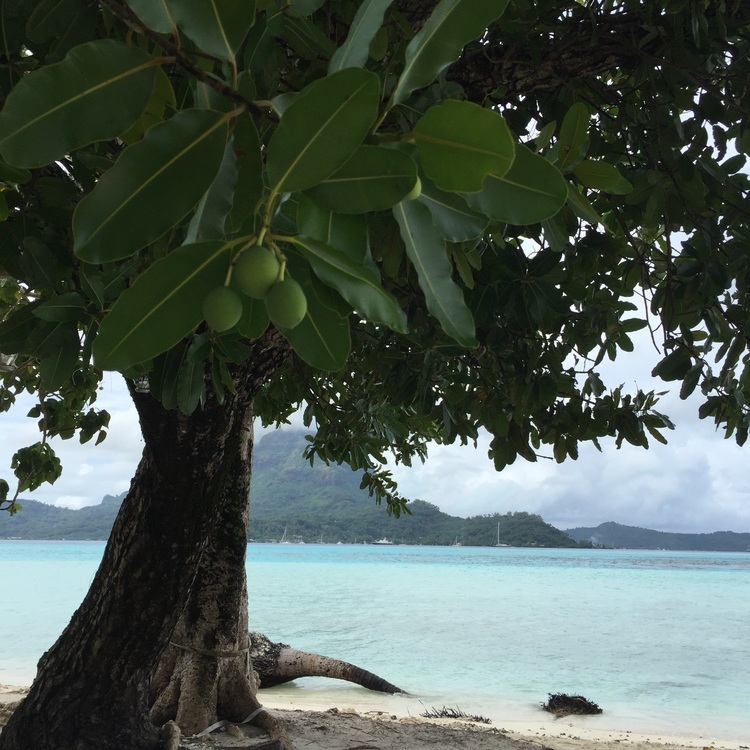 They found out that the strange looking tree that grew near the ocean had fruits which contained nuts. When the nuts were dried and pressed, they produced a greenish yellow oil, a.k.a tamanu oil! Did you know that tamanu oil is also called ‘green gold’! That makes it even more luxurious! 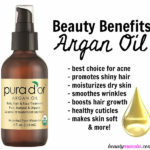 Let’s check out 5 tamanu oil benefits of hair below! Note: Before using tamanu oil, do a patch test by applying a drop of it on your inner elbow. Wait for 1-2 hours. If there’s no sign of irritation then it’s safe to use! If you experience irritation, then do not use the oil. 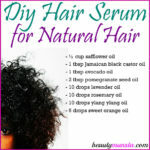 ♥ Hair Growth Serum: In a 4 oz amber glass dropper bottle, pour in 2 tbsp tamanu oil, 1 tbsp liquid coconut oil and 2 tsp Jamaican black castor oil using a small funnel. 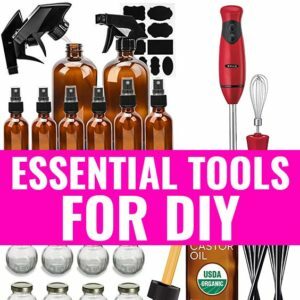 Then add 4 drops of rosemary oil, 4 drops of lavender oil, 4 drops of cedarwood oil, 4 drops of thyme oil and 2 drops of geranium oil. Now close the bottle and shake well to combine everything. This is your powerful hair growth serum that you can use as an overnight treatment, moisturizer, daily hair growth oil or weekly hair mask for growth! ♥ Fungus-Fighter: To 1 tbsp of tamanu oil, add 3 drops of thyme oil and 3 drops of cedarwood oil. Mix together and apply all over your scalp. Let it sit for 1-2 hours with your hair in a shower cap, then wash it out well with a natural anti-fungal shampoo. If you have thirsty locks, tamanu oil can be your miracle moisturizer. 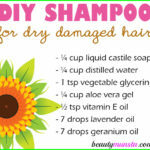 All you need to add is add a couple of drops of tamanu oil to your shampoo/conditioner. 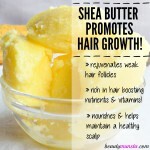 It works wonders in moisturizing and conditioning hair! You can also rub a few drops of tamanu oil on hair that’s freshly washed. That’ll seal in much-needed moisture into dehydrated hair! Shiny hair is attractive, isn’t it! Instead of using pricey hair serums that contain a slew of unnecessary chemicals, try all-natural tamanu oil instead! Tamanu oil gives hair a beautiful natural sheen when used! The best way to use it for hair shine is apply a few drops of it on your hair right before a shower. Tamanu oil has strong anti-inflammatory properties. So if you suffer from scalp inflammation, which is characterized by a painful, itchy and red scalp, then tamanu oil will help! Conditions like scalp eczema and scalp psoriasis also greatly benefit from tamanu oil’s anti-inflammatory properties! ♥ Soothing Scalp Blend: Apply tamanu oil directly onto your scalp to soothe scalp inflammation. But my favorite way to combat scalp inflammation is by mixing in a few cooling essential oils: To 1 ½ tbsp of tamanu oil, add 4 drops of peppermint oil. Now gently apply onto your whole scalp for a cooling relief! Wash it off your hair after an hour.